The fun and excitement from an internet challenge game were just temporary, if not fleeting, but the pain and scars it left on a 15-year-old boy will remain in his memory forever. 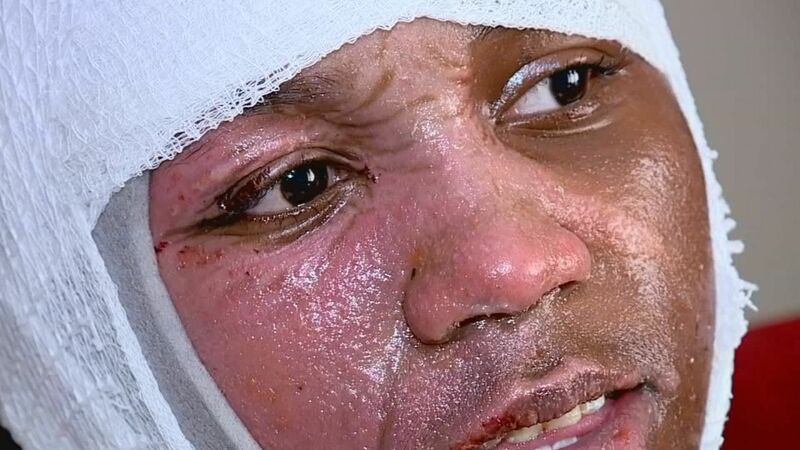 Teen Kyland Clark is still wearing the scars after participating in the dangerous “Hot Water Challenge” that has gone wrong. The teen ran to the bathroom to try to find a way to ease the pain. Clark had to stay in the hospital for a week to treat the second-degree burns he suffered on his back, chest, and face. While his doctors say Clark should heal, it would take a few more months before Clark’s pigment will be back to normal. Doctors are also saying that it is unfortunate that they’re seeing more people land in the emergency room because of the said internet game challenge. He also says people, especially teens, should not be swayed by peer pressure to do something foolish. He cautions: "If your friends are telling you to do this, they are not good friends." I hear the latest thing is the TRUST CHALLENGE. It is where a liberal 18-25 year old male allows his 4 best female friends to each splash part of 1 gallon of Gas on him. stupid, stupid challenge! stop it! how irresponsible and gullible teens these days can get. horrible! didn't the friend realize pouring hot water on a sleeping friend is a criminal act? is it really about the challenge or he has some mean bone, if not outright criminal intent? they should sue him! omg, that must have hurt so bad! to be poured boiling water!!! Really what are these kids thinking these days? those so called internet challenges are so insane! and stupid! It says "Hot" Water Challenge, not "Boiling"